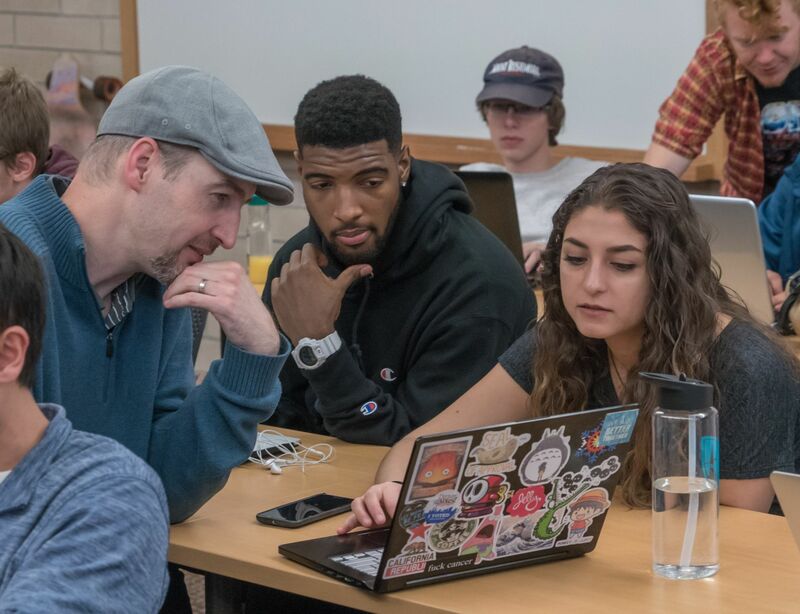 Current students at the Ritchie School can use this page to access the resources they need to succeed within their program. You can view assignments in Canvas, locate information on student clubs and activities, and download various forms and documents below. Access PioneerWeb to check grades, make appointments for library centers and services, and explore other valuable campus resources. Explore your class pages, syllabi, assignments and documents. Find ePortfolios of students, faculty and organizations on DU's campus. Check emails and calendar events, and use a variety of Microsoft Office programs. Connect with all professional development opportunities on campus as well as internships and careers. These are just a few of the Ritchie School's roster of thriving student organizations. Whether you're looking for networking opportunities, career development, partners for collaboration or just someone to play League of Legends with, you'll find a place in one of our student organizations. Use our core resources for current students page to explore topics like student life, campus programs and services, and additional academic resources. Our cooperative education program offers students the opportunity for valuable experiential learning opportunities. A collaboration between academia and industry, the program allows students to earn valuable experience working full time at participating companies. Typically, our students will not take classes for one full academic year, though in some cases, DU courses can be taken while on co-op. Interested students, typically sophomores and juniors, will work with their academic advisors and Career Services to determine if the program is a good fit. Once approved, students apply for one or more co-op positions. Each of our industry partners determines their own hiring needs, process and decisions, and each student in the program will have the benefit of a unique experience in a field-relevant position.